← Faith: What is it? The Bible Bee, started in 2009, is open to young people ages 7-18. In last week’s final round the participating contestants memorized 840 verses in just 90 days. The National Bible Bee Game Show, hosted by Kirk Cameron, assembles 72 young people in a contest showcasing Bible verse memory and applied Bible study. 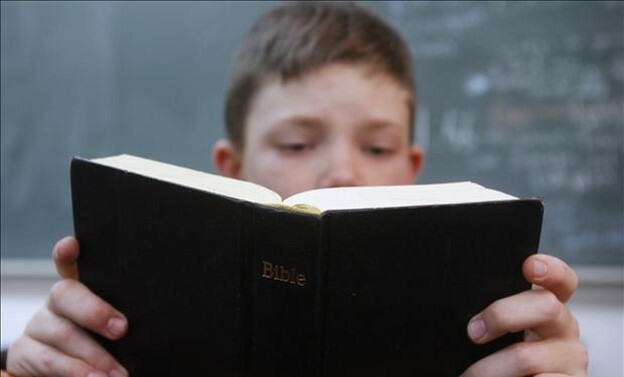 I’m glad to hear about some positive news about young people memorizing the Bible. When I was a kid we were assigned memory verses. I remember the first verse I learned was John 3:16. When I wrote The Family Bible Study Series, I included a memory verse in each lesson. I wonder if parents, teachers, and churches are emphasizing memorizing the Bible as in days past? Here are 7 reasons to consider for memorizing scripture. (1) It’s another way to be like Jesus. The Gospel accounts record Jesus quoted the Old Testament scripture 180 times from 24 different books. Jesus respected the Scriptures as authoritative. And He often quoted it. His example is well worth emulating. (2) It allows Christ to dwell in us. The Bible commands “Let the word of Christ dwell in you richly in all wisdom” (Col 3:16). Since Christ dwells in our hearts through faith (Eph 3:17), and faith comes by hearing God’s Word (Rom. 10:17), committing Scripture to memory is a means to build our relationship with the Lord. (3) Memorizing the Bible Guards against Satan’s temptations. David, a man after God’s own heart, wrote, “Your word I have hidden in my heart, That I might not sin against You” (Ps 119:11). The Word is metaphorically called “The Sword of the Spirit” (Eph 6:17). It is our only offensive weapon in our battle against the devil. Three times Jesus wielded this Sword by quoting Scripture when the devil tempted Him in the wilderness (Matt 4:1-11). By doing so, He caused the devil to flee. (4) When we have Bible verses committed to memory, it allows us to immediately share the Word with others. We’re commanded in 1 Peter 3:15 to be ready to give a defense of our hope in Christ. Opportunities may arise when we don’t have a Bible available. But a few well-memorized verses can impart the gospel message to someone who is sincerely seeking. (5) Internalizing the Scripture helps maintain moral purity. The Psalmist raises the question, “How can a young man cleanse his way?” His answer: “By taking heed according to Your word” (Ps 119:9). When we know the Word. When we commit the Word to memory, it keeps it fresh on our minds and helps us continue on the right path. (6) The Word transforms our lives. Paul admonished, “Do not be conformed to this world, but be transformed by the renewal of your mind” (Rom. 12:2). When I commit the Scripture to memory, it has the potential to renew my mind and bring about a dramatic change in my life. I’m not going to offer any memory tips. The same method doesn’t work for everyone. But I will offer this one caveat. For the Bible to transform our hearts, change our lives and keep us on “the strait and narrow way,” we must internalize what we memorize. It can’t be a mere academic exercise. We must apply it and practice it in our daily lives.